This is a 33" full tang Wooden Broad Sword, also known as an Ox Tail, due to the blade’s curved design. 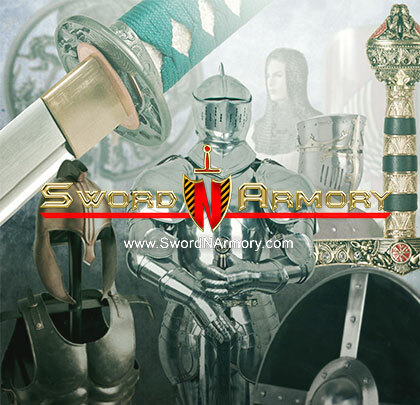 The sword is light and capable of bring swung with impressive speed. The blade of the sword has been rounded off for safety. The 6 ½" handle is contoured to fit the hand. Perfect for practice, display, and theatrical productions.